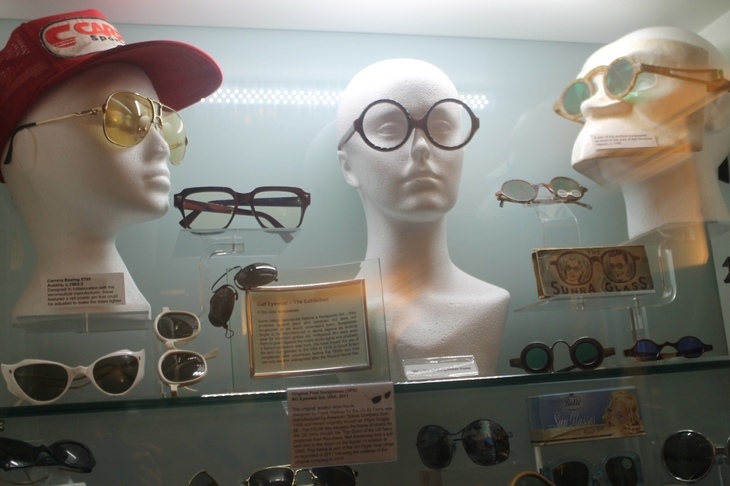 It's an eye-opening collection that has spectacles belonging to Dr Johnson, Ronnie Corbett, and contact lenses worn by Leonardo Dicaprio and Joey off Friends. 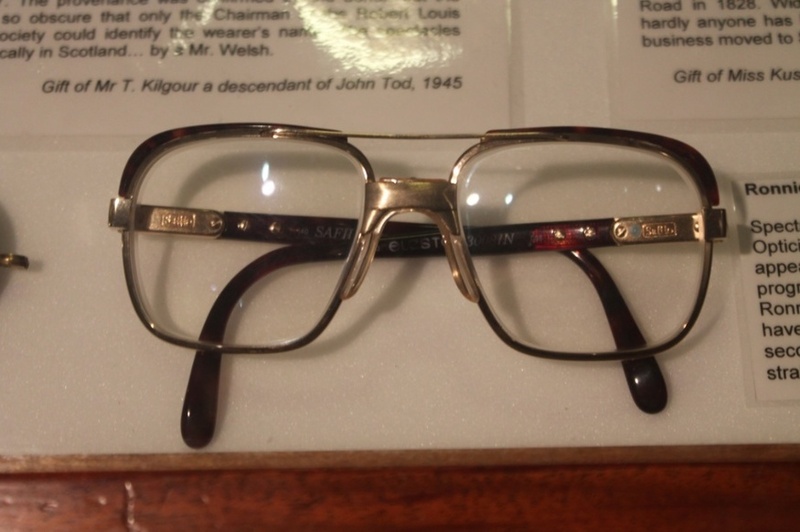 Specs worn by Ronnie Corbett. 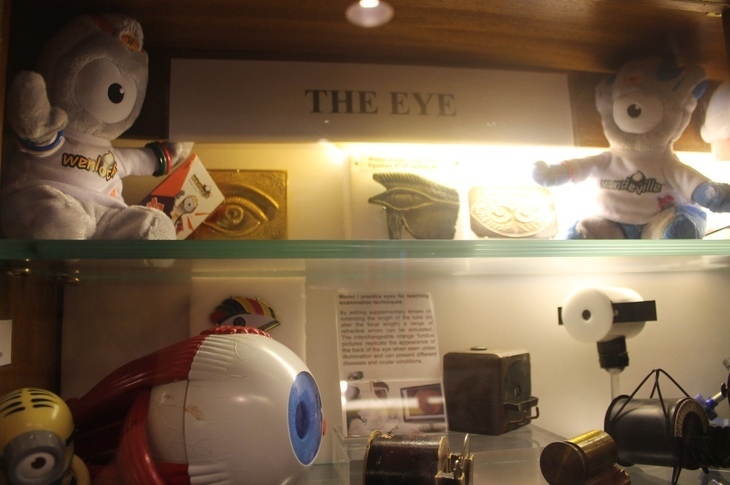 ...and there's enough optical-related memorabilia here to keep you ogling for hours. Our curator for the afternoon, Neil, on the left. The museum is London's most central — it literally touches Charing Cross station — but it gets just 1,000 visitors a year (we were proud to be the second visitor of 2017). 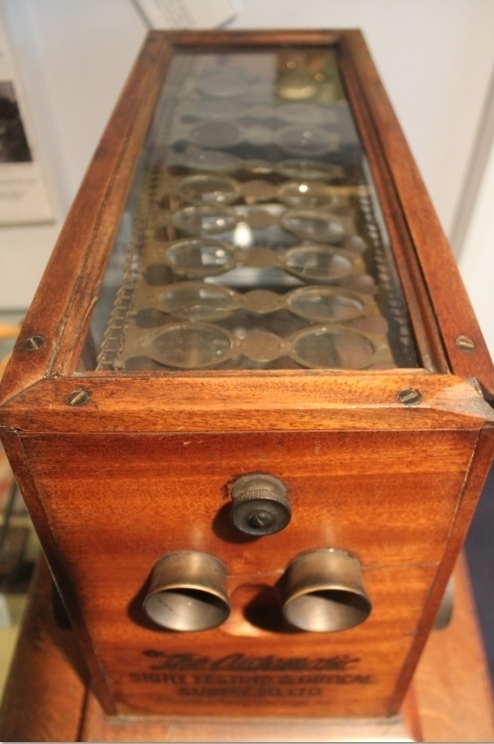 A cabinet of eye wash cups. Back to that celeb eyewear for a second. 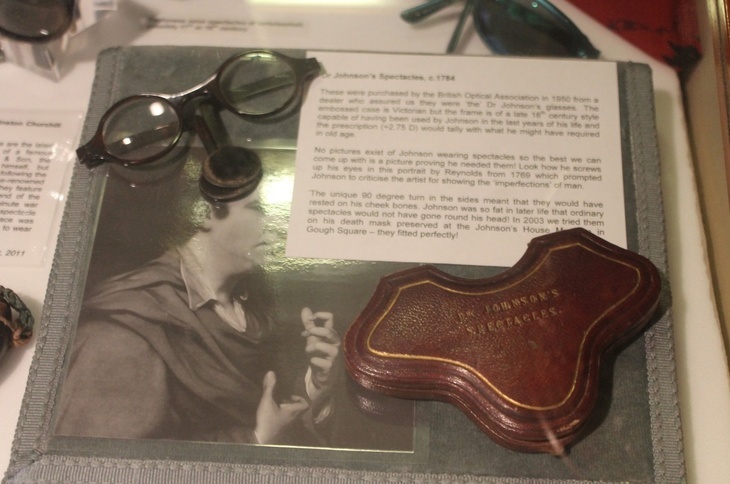 Here, as promised, are the specs once worn by Dictionary creator Samuel Johnson. Note the personalised case. 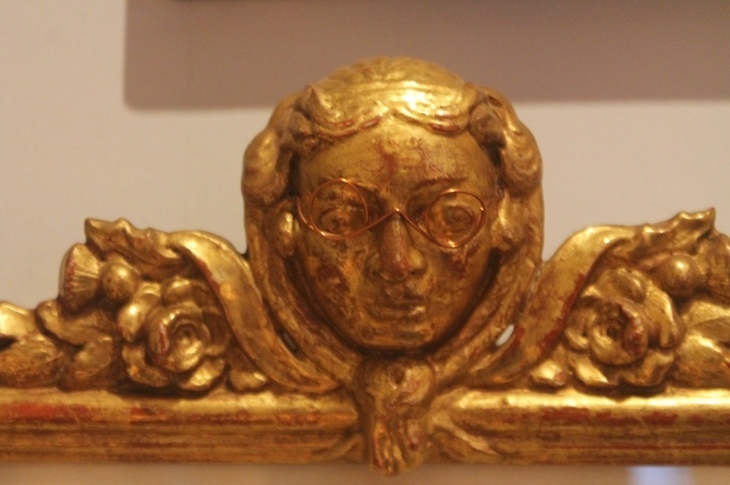 In 2003, the museum tried the specs on Johnson's death mask... they fitted perfectly. 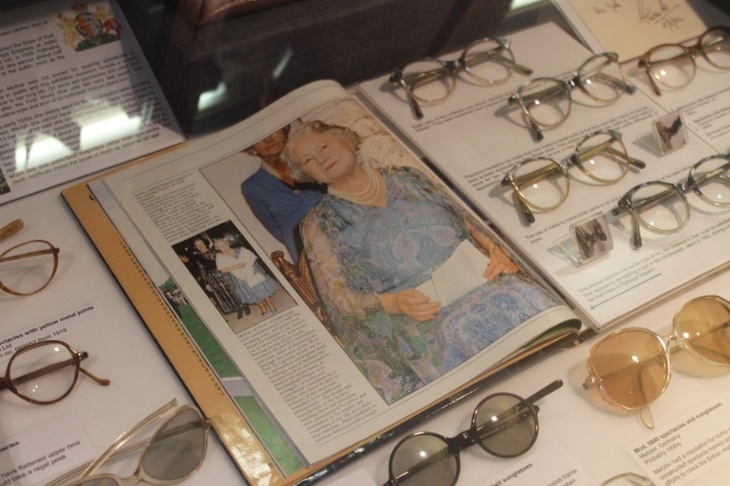 And here's an entire collection of the Queen Mother's eyewear. 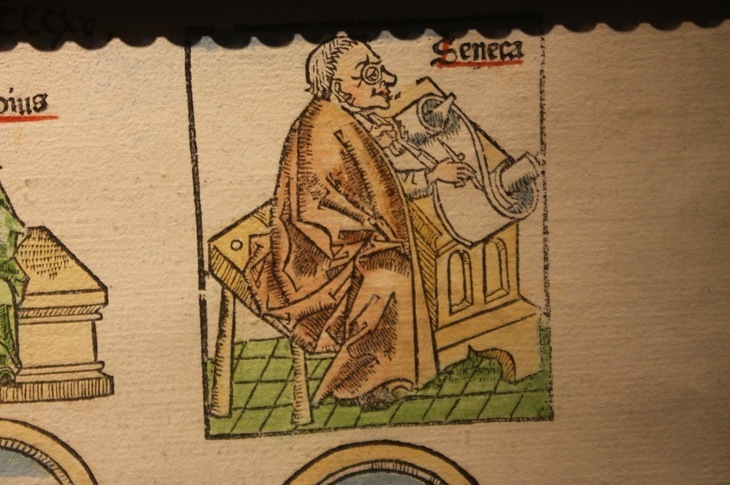 In her early days she had bespoke glasses made by top designers, but in her latter years, she was happy getting someone to nip into Boots for a pair. 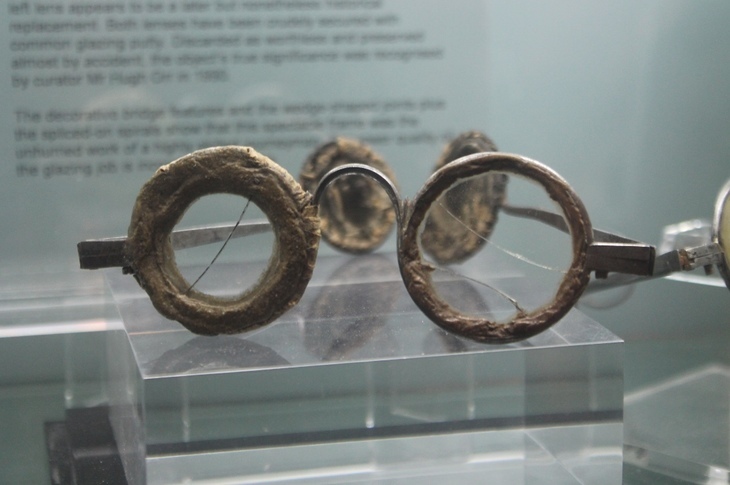 Lenses and frames are just a part of the museum. 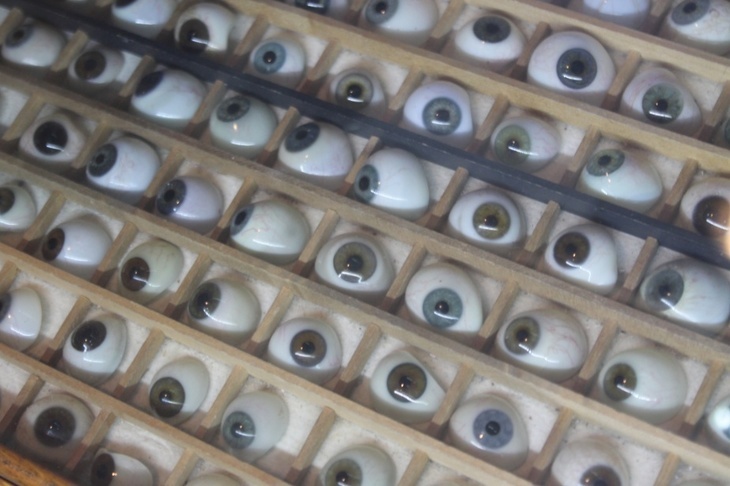 Here's a box of glass eyes, taken to Flanders for use on the many men who lost their own eyes in the first world war. 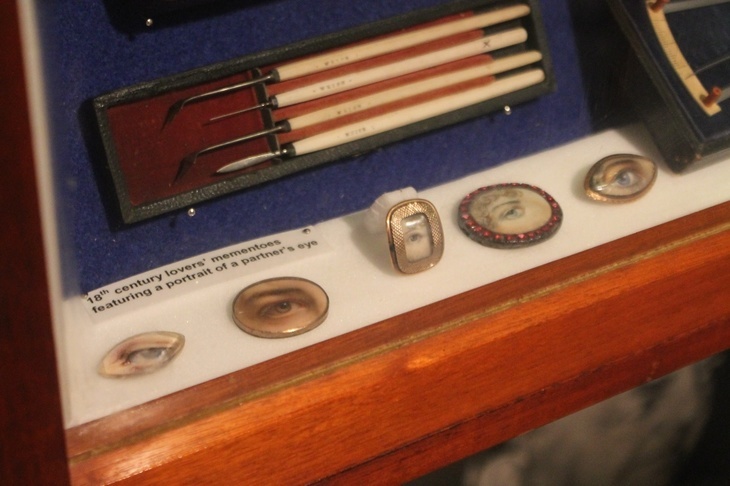 Here's a collection of 'lovers' mementoes'. 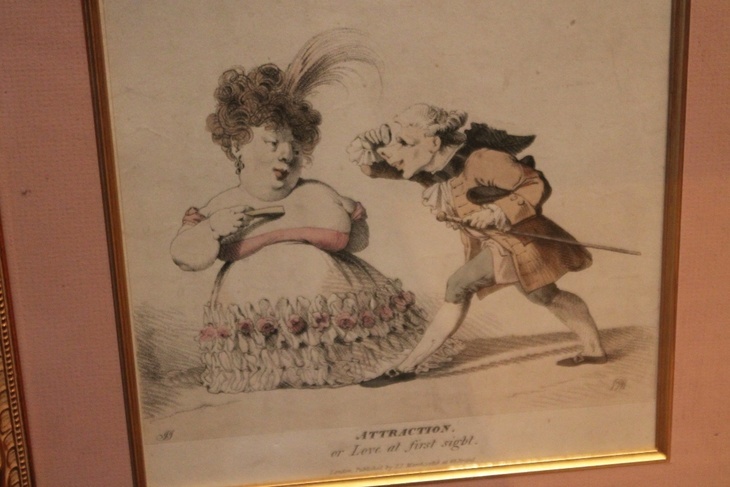 These tended to depict mistresses, rather than wives. And here's a turtle. 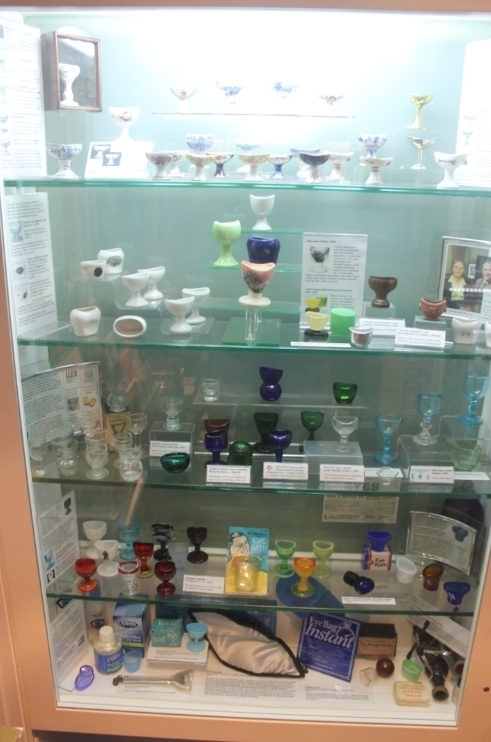 'Tortoiseshell glasses' is a misnomer. Frames were actually made from turtle shell. 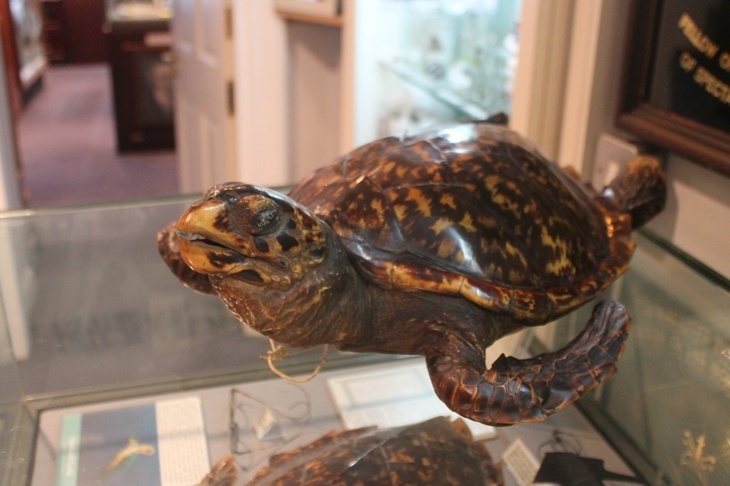 And fellas like this one were proudly displayed in opticians' windows to lure customers in (these days, the museum sponsors a turtle in the wild, to make amends for the profession's past non-ethical practices). 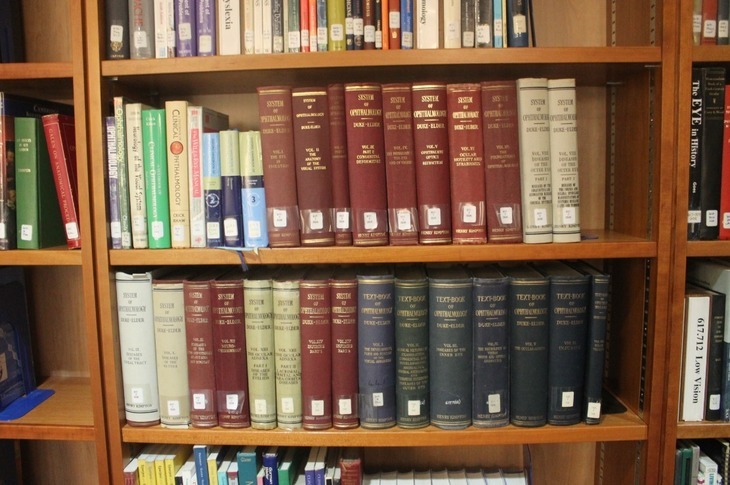 You could take up a good couple of hours alone in these two rooms. 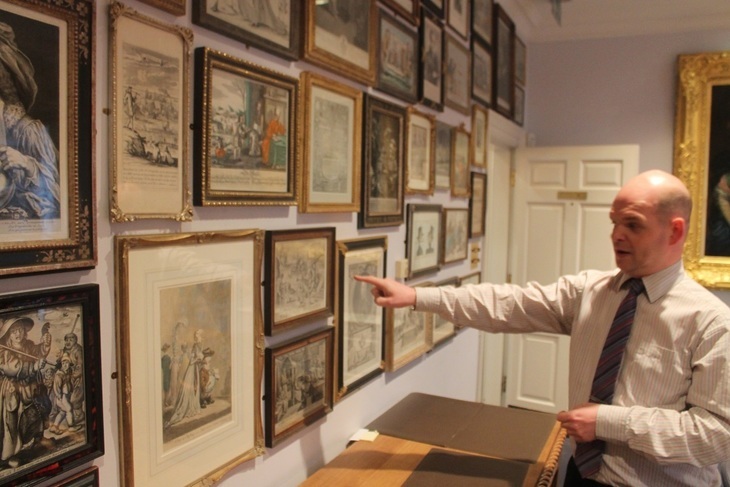 But if you're willing to shell out a mere fiver, more floors of the British Optical Association's Georgian townhouse are opened up to you, by way of a personal tour. 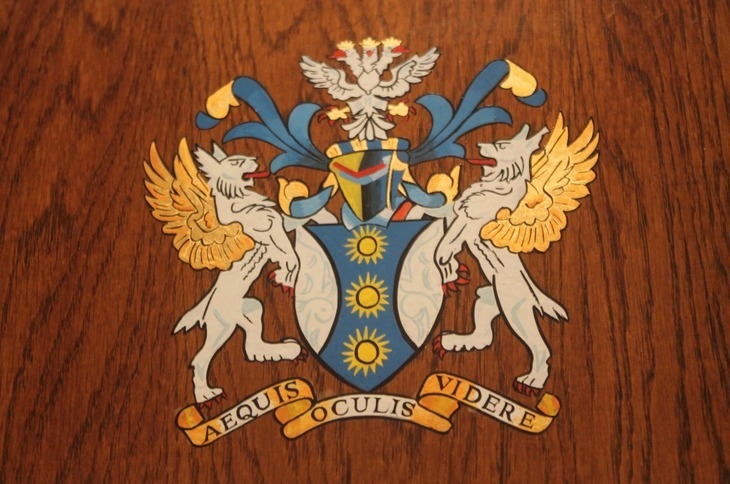 While we're on the subject of looking closely, note the British Optical Association's crest. 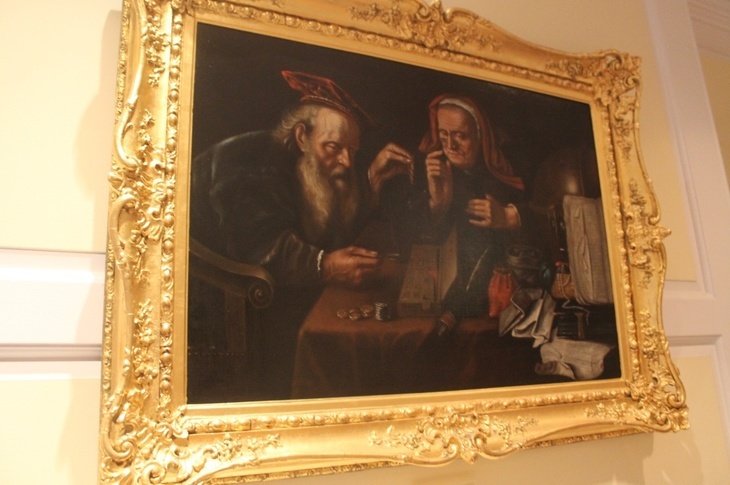 The three suns represent the sources of all light on Earth, the three-headed eagle looks left and right (the association has no political affiliation) and forward (when an optician studies an eye, they're predicting what the future has in store for the patient). The curved white sections of the shield are actually lenses. 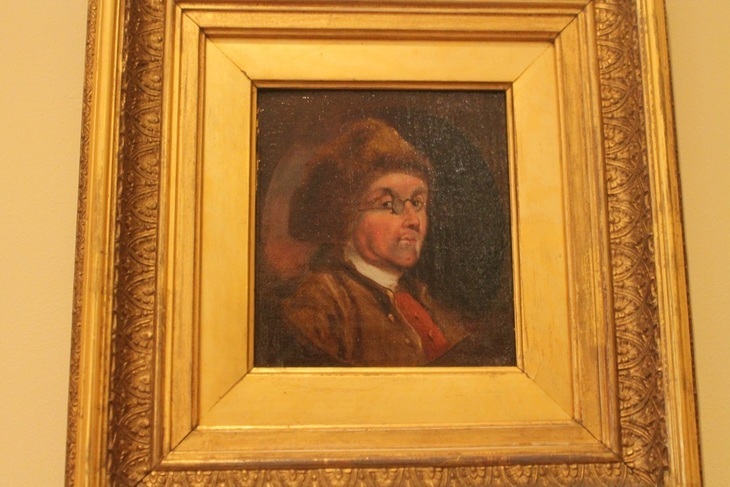 The room also has this picture of Benjamin Franklin — alleged inventor of bifocals — wearing some broken glasses (Franklin was notoriously thrifty, unfortunate given the prejudices in the previous painting). 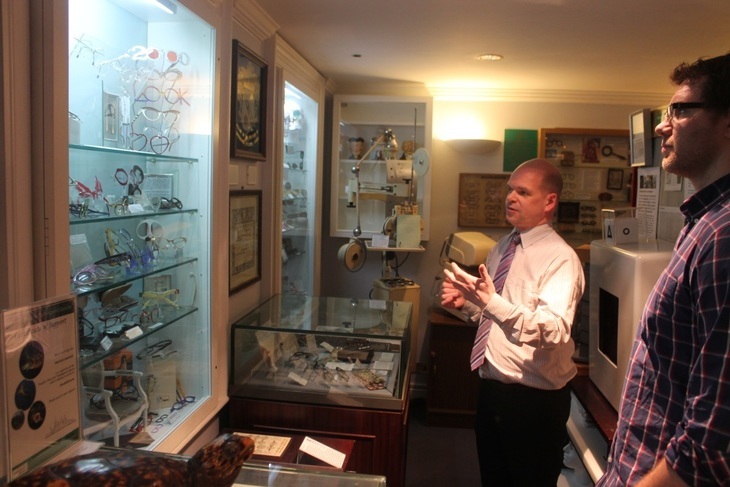 Neil points out that the British Optical Association has more Franklin related artefacts than the Benjamin Franklin House a few doors down. He also doubts that Franklin invented bifocals. 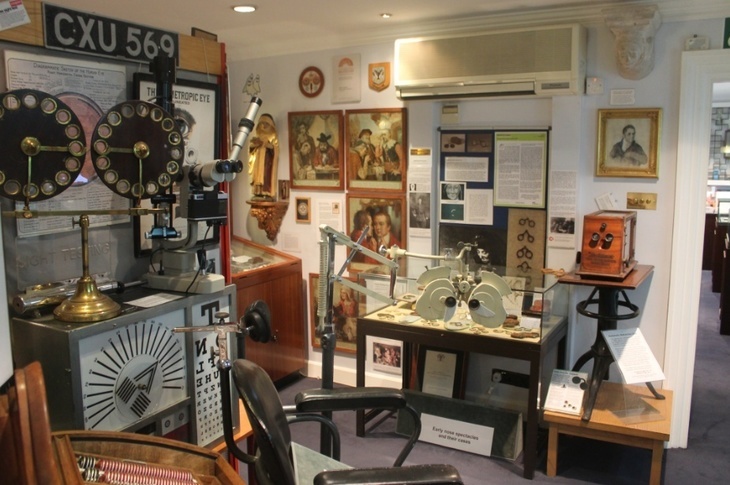 The British Optical Association Museum is at 41-42 Craven Street, WC2N 5NG. Entry is free but you must pre-book. 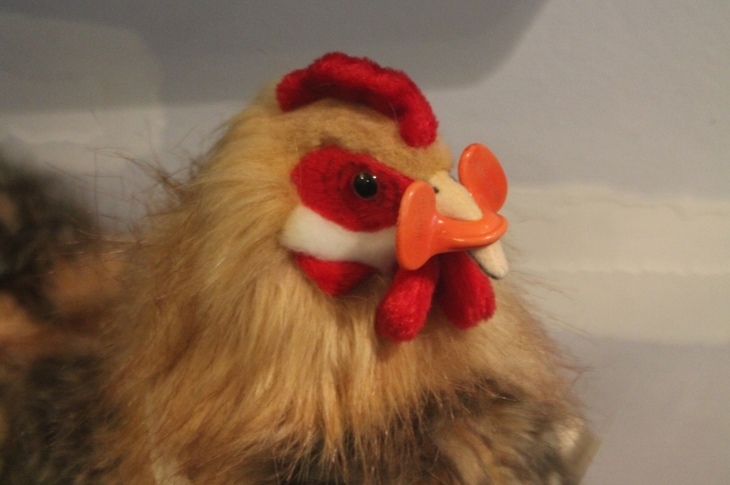 You can also book onto a longer guided tour — we'd recommend it. 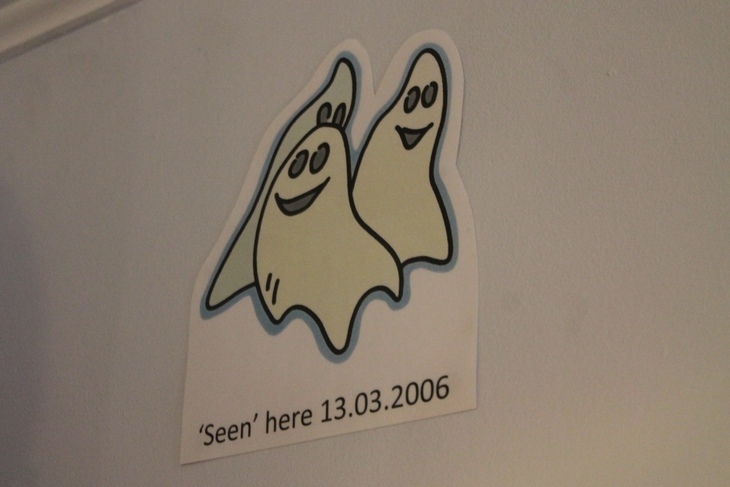 Oh yes, and did we mention it's haunted? Apparently by eyeless ghosts. The irony.